Jònz Catering has a Full Spirits Liquor License and can provide all of your liquor, wine and beer needs. Our bartenders are professional and licensed with Washington State. We are also fully insured. If you choose to provide your own alcohol, additional fees may apply. You are also then responsible for purchasing a banquet permit from the WSLCB. 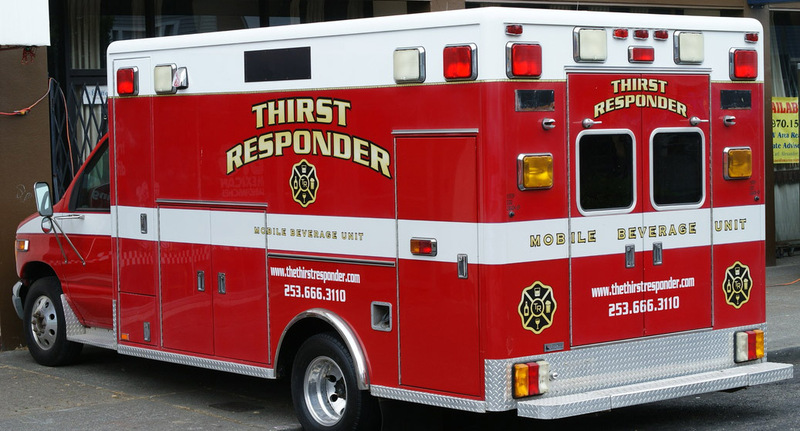 The Thirst Responder is the world’s first (at least as far as we’re concerned) mobile beverage vehicle. Our highly trained professionals can handle any beverage-related emergency. These professionals have spent years training in keg tapping, pint pouring, age identification, and every other necessary skill needed to keep the beverages of your choice flowing. All Menus are Subject to Washington State Tax and 20% Service Charge. Copyright © 2018 Jònz Catering | Website & Marketing by MadCap Marketing.